The bamboo cane is a perfect prop for theatre or as a costume accessory for Halloween. It has a number of uses such as dressing up as Charlie Chaplin or Laurel and Hardy, as part of an old age character costume, or for vaudevillian characters. 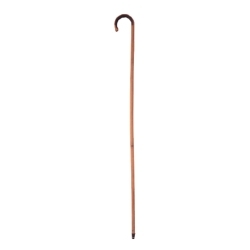 The economy bamboo cane is made of thin yet durable natural bamboo with a crook head.